Here's the latest in hybrid snack technology. We’re living in an age of mashup-food mania, a time in which a new frankenfood unveils itself everyday. To help you keep up with all the new hypebeast snacks on the scene, we’ll be doing a weekly roundup of ridiculous mashup foods you need to know about right now, and ranking them on staying power. Read on! The mashup: If you’re an adult, ordering a milkshake is already a little indulgent and naughty. But Red Robin has upped the ante by going all in with this booze and lard version: a vanilla milkshake swirled with caramel and Jim Beam Maple Bourbon, and topped with bacon bits and a swizzle stick of candied strip bacon. Staying power: Medium. The item is on Red Robin’s fall menu, which means it’s only available through November 2. Sad as that is, we’ve gotta give props to the burger chain for creating a seasonal menu item that has almost nothing to do with autumn, since we’re already experiencing pumpkin spice fatigue even though fall hasn’t officially started yet. The mashup: Al Tak so strongly believes in this hybrid that he’s just opened a dedicated shop on the Lower East Side. 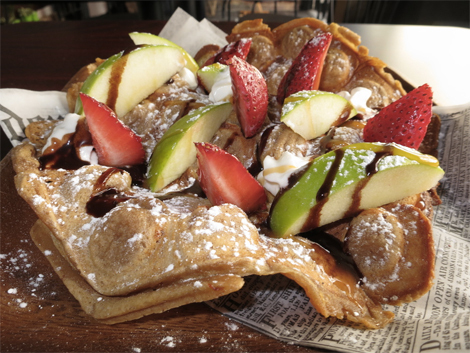 The Creffle Cafe website states that Tak “took 3 months and over 8 recipes” to perfect his mix of a Belgian waffle, French crepe, and Chinese Eggette; it comes with sweet or savory fillings like Nutella, strawberries, meatballs, and bacon and cheese. The mashup: While looking for inventive ways to use their stone fruit jam, Frog Hollow Farm mated an English teatime staple with a muffin, and added a gooey fruit conserve center. 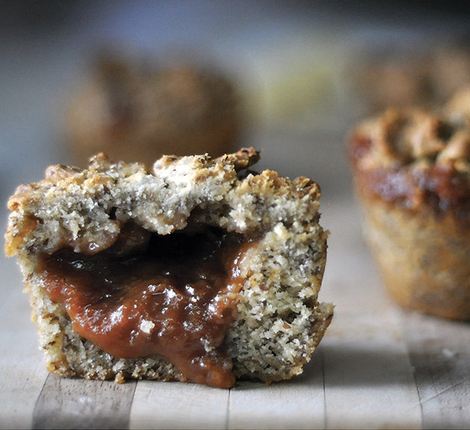 Scuffins are made with flaxseed meal and organic peach, apricot, or nectarine, which means it’s healthy enough to have for breakfast but also yummy enough to have as a late night snack. The mashup: California’s My Delight Cupcakery has everyone all “TGIF” this month since they started selling these cake-on-cakes exclusively on Fridays. Aside from how cute the mini funnels are, we love that the bakery has strongly emphasized they are not being sold at any state fairs. Staying power: Low. These are only available on Fridays in September, so if you can’t make it to their Ontario, CA storefront by the end of the month you’ll miss out on what we’re affectionately calling the fupcake. However you can always console yourself with their breakfast cupcakes (brupcake?) made of buttermilk, bacon, maple and fried chicken.